I’ve been a fan of the iconic Golf GTi for many years. My Mk2 8v was a cracking little car but it enjoyed a little too much to drink for my liking. VW have done a lot to improve the GTi in the days since the mighty Mk2 but it will always put performance over efficiency. 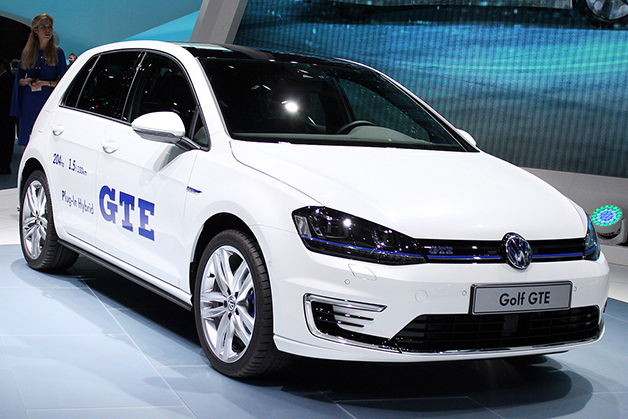 With that in mind VW have changed the game with the unveiling of the VW Golf GTE at this years Geneva Motor show. The GTE is in essence a Golf GTi plug-in hybrid. It combines a 1.4-liter TSI turbocharged 4 cylinder engine with a powerful electric motor. The engine alone overs 148BHP which is impressive enough for such a small engine, but with an added boost from the 101BHP electric motor. In tandem they provide 201BHP and a whopping 350Nm of twist, enough to power the GTE to 62 in 7.2 seconds and on to a top speed of 135MPH. 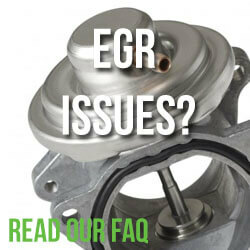 Official figures claim the GTE will return a fuel economy of 188mpg while emitting just 35g/km of Co2. In full EV mode the GTE can hit 81MPH with a range up to 31 miles. Electric power is supplied by a 8.8 kWh lithium-ion battery which can be charged in around 2 1/2 to 3 hours depending on the socket. Those familiar with the GTi will acknowledge the use of red detailing both inside and out side the car, the GTE features similar details but in “electric” blue. Full details including pricing will be available in late August when the ordering books for the Golf GTE will open. First deliveries are expected in the UK before the end of 2014. 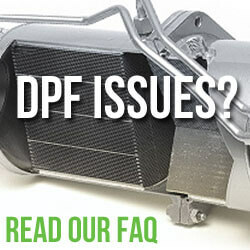 ‹ Can I clean my DPF and do cleaning additives actually work?